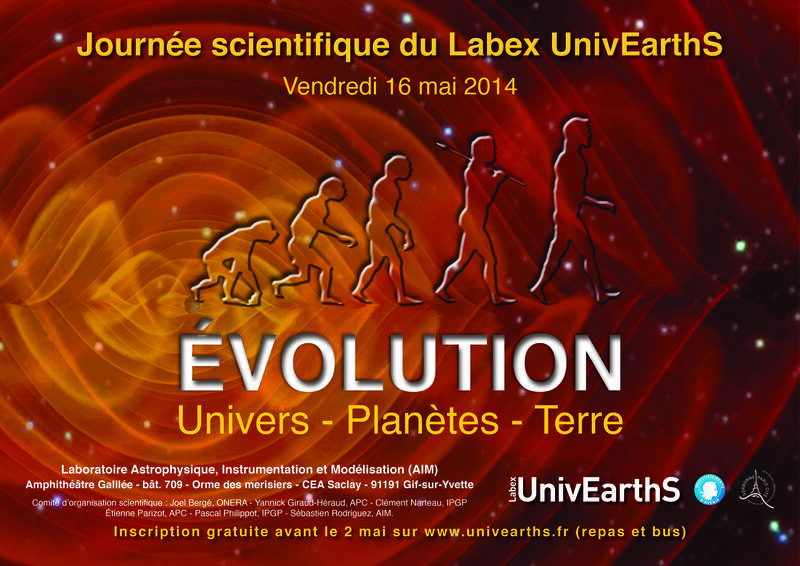 Registrations for the third UnivEarthS scientific day are opened. 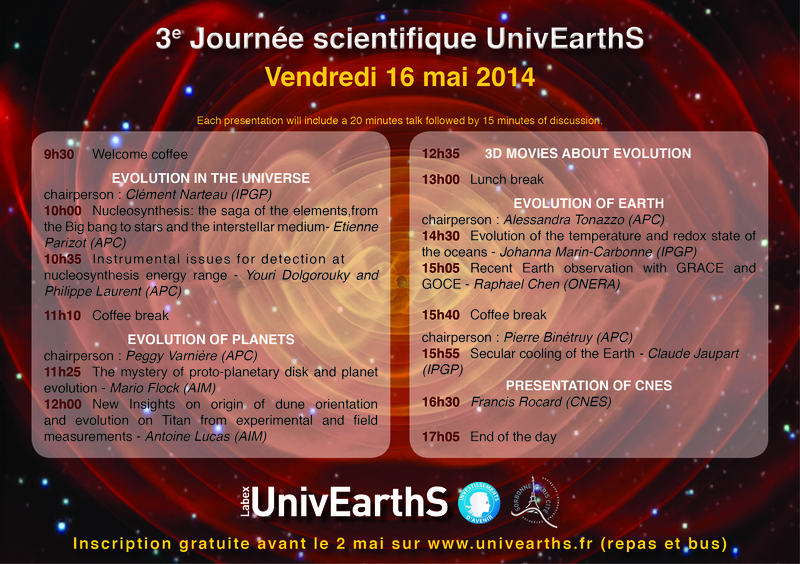 The agenda is organized around 3 sessions on the Universe, planets and the Earths, will be accompanied by 3D movies and will be closed by a general CNES talk. Presentations will take place from 10 am to 5 pm at AIM (Saclay, Orme des Merisiers). A bus will be chartered in the morning and evening, and from the Porte d’Orleans in Paris. Registration is free but necessary before 2nd May.